Samsung’s 2017 flagship smartphones, the Galaxy S8 and S8+, are truly excellent devices when it comes to features and performance. However, some users are not happy with the stock configuration and therefore modify their devices at home. The result: Greater user satisfaction and improved day-to-day usability. Here are some examples. As beautiful as the Galaxy S8 may be, the fingerprint sensor is a minor design fail. From a haptic standpoint, you cannot tell it apart from the camera window. 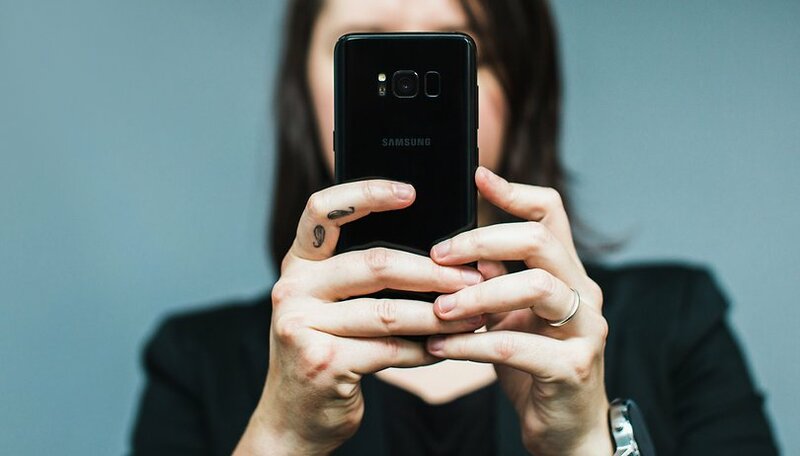 On the one hand, the smartphone is not unlocked when you helplessly fumble on the camera; on the other hand, the camera glass becomes dirty when you constantly press your greasy fingers on it, resulting in wasted time and blurry photos. When YouTube opinion-maker Quinn Nelson’s Galaxy S8 fell, the rear glass pane broke. He ordered a replacement part, adhered it himself and, in so doing, make a fortunate mistake. The fingerprint sensor—which continued to function—slightly protrudes since then, allowing it to be blindly distinguished from the flat-mounted camera. You can view the repair in a Periscope video here. People are always talking about how they want to re-map the Bixby button. So-called Bixby re-mappers are slowly becoming widespread in the Play Store, and even some root-based tools allow for the Bixby button to be re-mapped. The following apps do not require root. Unfortunately, these apps are often made ineffective as monthly security patches are released for the Galaxy S8/+. Samsung doesn’t like people circumventing its rather unnecessary and forced assistant. Therefore, we regrettably cannot recommend any of the options as a truly long-term solution. Since Samsung finally replaced the capacitive buttons with on-screen navigation, we have new options. On the one hand, we can switch the order from the default Samsung configuration of recent apps/home/back to the industry-standard back/home/recent apps arrangement. On the other hand, we can freely define the color of the bar behind the buttons. While the former can be changed in the settings, you can use your PC to increase the color options available for changing the color. Using the debugging interface and the ADB shell, you can send a command to change the navigation bar color from your computer to your smartphone. Further information on the colors and the steps required to change them are explained by its discoverer and XDA member, haksancan. How have you upgraded your Galaxy S8? Have you also taken the plunge to root your device or do you rather modify your Galaxy S8 within its specifications? Share your experiences with us in the comments section. The ability to theme my S8 with Substratum and the Substratum Samsung add on without root is by far my favorite mod.